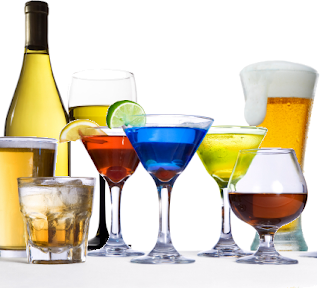 Health-Net: Consuming alcohol in large quantities can be bad for your health, especially the heart. In fact it is not likely to make you more quickly ending life. But according to a recent study, drinking alcohol in small amounts are even more lowered the risk of heart disease. Report this problem has been presented at the annual conference of the American Heart Association in Chicago. According to statistics, not drinking alcohol at all is more dangerous than drinking in small quantities, said the expert of cardiology at the Mayo Clinic Women Sharon Hayes is quoted from Genius Beauty on Wednesday June 8, 2011. Thus, male drinkers who underwent coronary bypass surgery, had a 25 percent lower risk of heart attack than those who do not drink alcohol. Comparable statistics were also observed in women. The only difference mentioned that they are generally less likely to suffer from heart disease. Microdoses in alcohol content strengthen blood vessels, in particular in the brain, and prevent the early development of dementia. But in the case of using more than five servings of alcohol, the risk of illness and increase death of their. The doctors asserted that the women can drink one glass of red wine a day, and men no more than two glasses. Moderate alcohol use may be called one of the keys to maintaining health throughout life, said Dr. Erin Mihos at Johns Hopkins University. But if you are afraid of addiction, it's better to avoid alcohol. If you do not drink, its better not to start it, Mihos Erin lid.